As we all know in the “digital marketing world”, there are hundreds and even thousands of SEO tools to assist in our journey of becoming recognized organically in the major Search Engine Results Pages (SERPs). With so many tools to choose from it is very understandable how beginning Search Engine Optimizers (SEOs) can become overwhelmed. However, our digital marketing team has compiled 5-ish marketing tools that will help mold you or your team into an outstanding SEO professionals. When searching for the right tools for your SEO campaign, it is important to keep in mind the elements that form a high-quality SEO marketing structure (listed in no particular order): Link Building, Technical SEO, Keyword Research, Rank Tracking and Citations. Although there are several other ranking factors that formulate the everyday algorithm for Google, Yahoo and Bing, these 5 key elements will give you detailed insight on how you can improve and draw more attention to your website. When building an SEO campaign it is extremely important to build a presence that “others” are talking about. “Who are others…” you might ask? Well, it’s as one might assume… OTHER PEOPLE. However, you want to find subject matter experts to share your service or product. For instance, Rand Fishkin is the CEO & Co-Founder of SEOmoz, for which he is widely known as an industry leader in the field of digital marketing and SEO tools, resources and forums. If Rand were to use a social media outlet, such as Twitter, to create buzz about a local SEO firm in Houston, TX (i.e, Dealerwebb: Rand if you are reading this, we would greatly appreciate a shout-out! ), then your traffic would see significant increase due to the trust people place in his endorsements. AuthoritySpy is the ideal place to find those authoritative subject matter experts and gives you first-hand information on how to reach them directly. With their platform you are able to see how “authoritative” someone actually is by viewing Twitter Followers, Facebook Likes, Google +1’s, Google Followers, Klout Score and Page Rank. This is a very powerful tool and can prove to be a necessity for beginning SEO professionals. 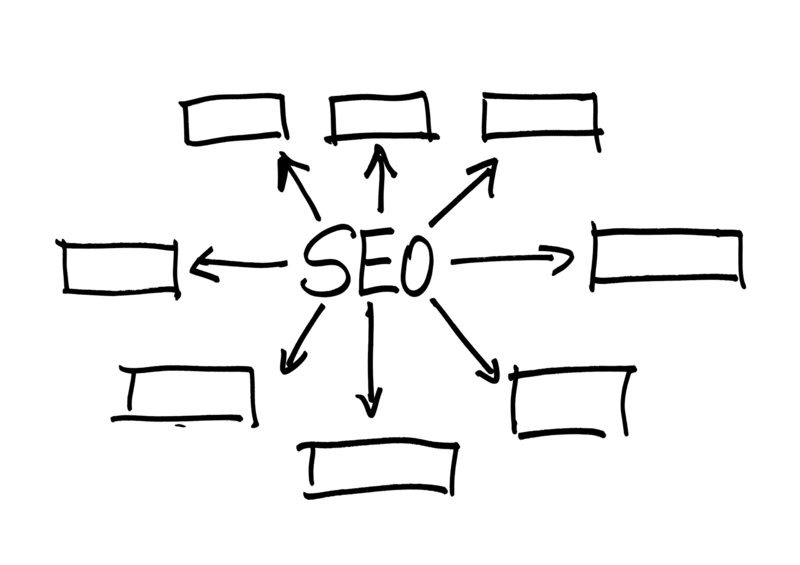 Technical SEO/ SEO Audit is a major function of monthly services for every digital Marketing expert in the industry. There are basics that we know must be provided to every site that we work on such as: Title and Meta Tags, Meta Descriptions, Headers (H1, H2, H3…), Alt and Title tags and the list goes on. Although these best practices are widely known, it is always good to have a checks and balances system put in place. Not only does the SEO Site Checkup report on common audit factors, but it also reports at a very granular level and suggests ways to correct the issue. Their audit is detailed and broken down by a basic overview, general SEO, speed, server & security, mobile usability and advanced SEO. There are several SEO audit tools in the marketplace, but for someone just beginning or not considering themselves an expert, SEO Site Checkup is the perfect audit tool for you. Who is better to tell you what keywords are the most searched on Google than…well… Google? All sarcasm aside, the Keyword Planner is an excellent tool for you to compose ideas and estimate traffic based on keywords built around your products or services. With traffic and data that is given directly from Google it is hard to overlook the suggested keywords that are recommended based on your keywords. Google gives filtering options such as competition and estimated bid to give users a higher sense of where they should focus their efforts when looking for tangible keywords and key phrases. Utilizing this tool correctly can set SEO professionals apart from their competition by allowing you to narrow in on keywords that your competitors aren't focusing on. A very popular and favorite tool used by many experts is SEMrush. Offering features such as Keyword Ranking, Organic Keyword Research, Backlinks, PPC Research, Domain vs Domain Research and more, it is easy to see why this tool is so widely used. When looking for rank tracking many tools use an API from Google, Yahoo or Bing to show where you are ranking. However, SEMrush not only pulls your data, but the data and rankings of your competitors to show you how you’re performing against your competition for your direct keywords. There are literally thousands of great things we can say about SEMrush, but it would be better for you to just go and use it for yourself… YOU WILL NOT BE DISAPPOINTED! Earlier we talked about Rand Fishkin being an industry leading expert in digital marketing and how his insight is highly regarded; Moz Local is one of his products that helps make the SEO world a better place. An often overlooked yet highly critical element of SEO strategy is ensuring your citations and local listings are uniform. Think of Google as a drill sergeant for a second: *Whistle blows* “Fall in line soldiers”… what happens to the soldiers who are not in line or they are out of place? They either get punished by having to do push-ups or some type of physical exercise or they move to the back of the line. Google is looking at all of us as soldiers and who is in line and consistent across the web; whoever is “out-of-line”, moves to the back. Moz Local is an aggregate citation builder through their partnerships with the top local listing cites online. By showing search engines that your listings are verified and consistent you are showing to be a subject matter expert. If you have read to the end thank you, but I am sure you are asking why is it 5-ish SEO tools? Well… we recommended SEO tools that are highly used across the industry that will help you to become a better SEO professional. But, the bottom line is SEO “Experts” utilize the tools that are given to them from the search engines themselves: Google Search Console (also referred to as Webmaster Tools), Google Analytics, Bing Webmaster Tools and Google Developers Tool. These tools are free to use and if utilized correctly will launch you from amateur to expert in no time. So, why you may run across many tools that you find exciting and innovative, always remember to stick to the basics and start with the tools that are built for you to succeed on their platform.